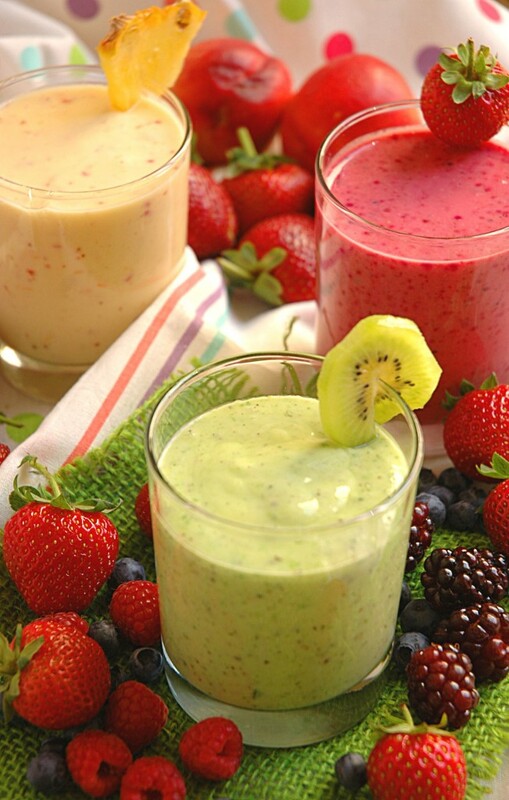 Smoothies - Why not sneak in a vegetable or two? Smoothies are my emergency plan when the children come home from school, ravenous and mom had no time to cook or buy something yummee! Smoothies are healthy, filling and cool the children down quickly, especially on those very hot summer days. 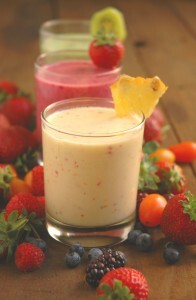 Whether you are dairy intolerant, sugar or wheat intolerant, there is a smoothie recipe for you! My daughter is a bit tricky when it comes to smoothies, she “hates bits” in her drink, so for her the ratio of fruit to yogurt must be almost 10 % fruit 90 % yogurt. My son on the other hand loves smoothies as long as they are sweet enough! I receive countless emails and sms’ from desperate moms, asking me how to get their children to eat more fruit and vegetables. The answer is easy……………..SMOOTHIES. Well it is not the only way to deal with children’s adversity towards all things nutritious, but it is a start. Heck, you can even freeze those smoothies and serve them “ice-cream” for breakfast, lunch and supper! The possibilities are endless with smoothies, you can literally use any fruit and with us being slap-bang in the middle of summer the bounty of fruit is so amazing. Berries in all shapes and sizes, peaches, apricots, pineapples, pawpaws, kiwi, watermelon, melons and so much more. Bulk up your smoothies with nuts like almonds, cashews and my favorite macadamias or use wheatgerm or bran! The choice is yours whether you would like a milky smoothie or just fruit. Even choosing Milk can be interesting….. ordinary milk, yogurt, rice milk, soy or for that real tropical taste, use coconut milk. They loved it no one even noticed a difference in the taste. Theyy were shocked when I told them they just had a spinach and kiwi smoothie, a beetroot and strawberry smoothie and a pineapple and tomato smoothie. So mommies, here lies your answer, be sneaky, be inventive and be VERY careful that they don’t catch you! Whenever I have fruit, like bananas that are slightly bruised( my children do not touch those) or peaches, I cut it up in chunks and freeze it in ziplock bags. This way you will always have fruit available for smoothies even in the winter months when you are limited for choice. 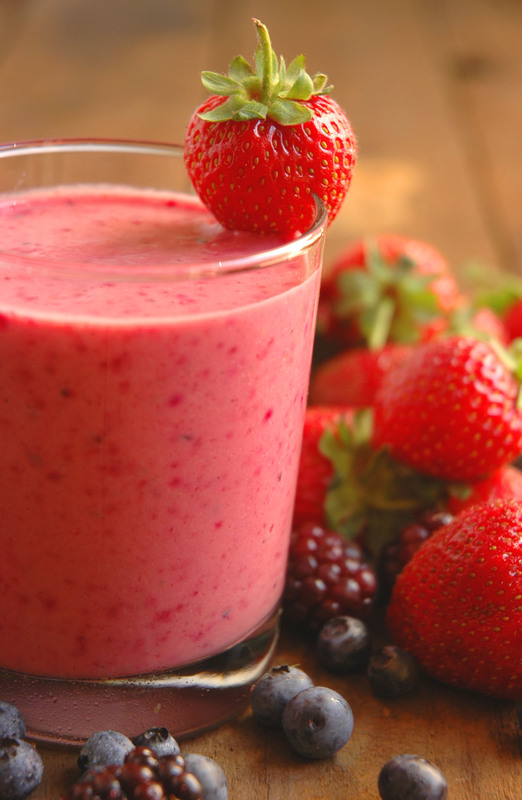 The frozen fruit also makes your smoothie thick and luscious, almost like a frozen yogurt! It is very difficult to write down exact quantities when making smoothies. Here is a few guidelines that will help. milk, yogurt, Greek yogurt, goat’s milk, rice milk, almond milk, coconut milk or even fruit juice will work. 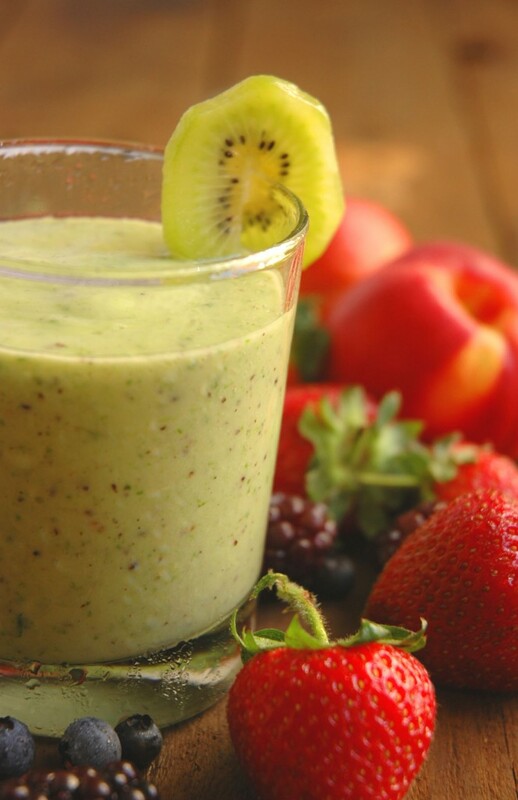 Place all the ingredients in a blender or smoothie maker and blitz until smooth and ready to drink! Kan ek die smoothies drink een in die oggend een in die middag, met saans ‘n protein met slaai om te help met gewig verlies? Just be sneaky and don’t let them catch you!! Oh Nina, I am in love. I want to try the tomatoes – never thought of them. I don’t really (make that almost hate) raw tomatoes so this is going to be a taste test from me! 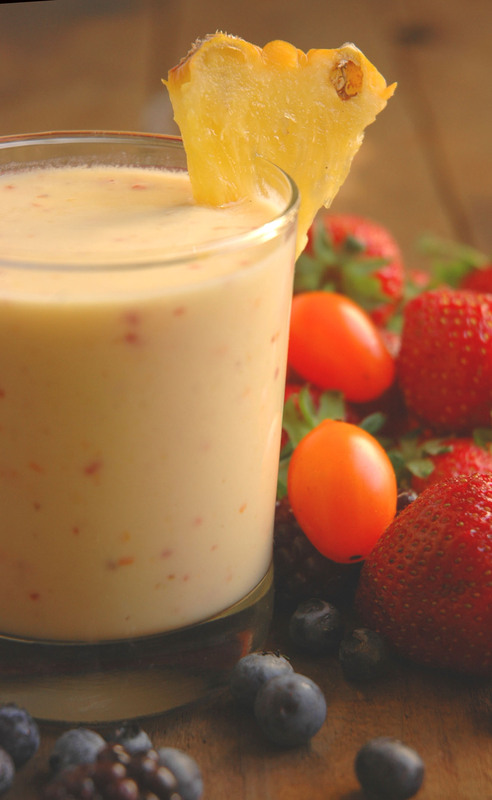 I love smoothies, and with “cooking on crutches” it is a great idea for a wholesome meal and quick and easy. Not to mention good for my weight! This is a smoothy that I enjoy often! I also just made a smoothy this morning.